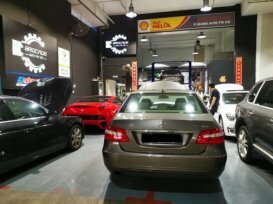 9 Degree LLP is a local automotive air-conditioning company with 10 years of combine experience in car air-conditioning maintenance and overhaul. Their technicians are well versed with vast experience and knowledge on the car air-conditioning system. Air-conditioning is one of the most important components in your car, especially with our sunny weather and 9 Degree LLP will help keep it in tip top condition.